The ladies of the derby world will take the stage in Manchester a few months later than originally hoped for. 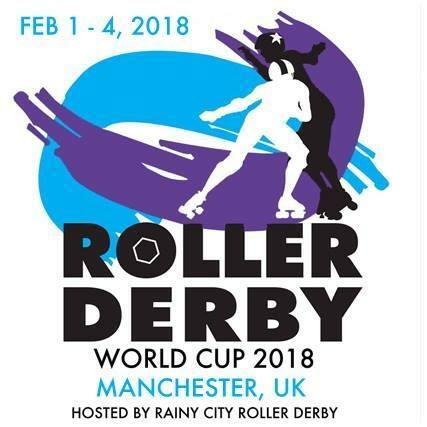 The 2017 Roller Derby World Cup—now the 2018 Roller Derby World Cup—will be held in Manchester, England from February 1, 2018. This will be the first time the event is set for a location outside of North America, with the first two Cups happening in Toronto (2011) and Dallas (2014). Rainy City Roller Derby of Manchester will act as tournament host. Throughout 2016, the derby community was awaiting word on where and when the 2017 women’s tournament would be held. The details were slow to be announced, which left some a bit worried about the status of the event. Those fears were unfounded, although the early 2018 date represents a delay from the end-of-year timeframe the first two World Cups took place in. It will also create a logjam of World Cup action, with the 2018 Men’s Roller Derby World Cup happening just two months later in Barcelona, Spain. The four-day Roller Derby World Cup will be organized by the Roller Derby World Cup Committee, in conjunction with the recently-formed Roller Derby Nations Committee. The RDNC was created to act as sort of WFTDA of nations, with participating national roller derby teams democratically electing representatives to have a say over future events. It’s also planning to help emerging nations get on their skates for the World Cup, or other similar international competitions in the WFTDA-derby world. The 2018 World Cup is still 14 months away, so the specifics surrounding the weekend, like participating countries, ticket prices, and streaming details, won’t be coming for some time. However, national teams are beginning to finalize their rosters and hold official practices. For example, USA Roller Derby released the list of its charter skaters three months ago, around the time of WFTDA Championships. The USA is the team to beat at the World Cup, having easily won the first two tournaments. In 2014, they beat Team England 219-105. In 2018, the Brits will have home field advantage, and will desperately want to be the first non-American team in derby history to win a World Cup. Can they?